Includes aluminum adapter rings, Classic Instruments White Hot electronic speedometer, tachometer, & quad gauge. Quad gauge includes oil, water, volts, & fuel. 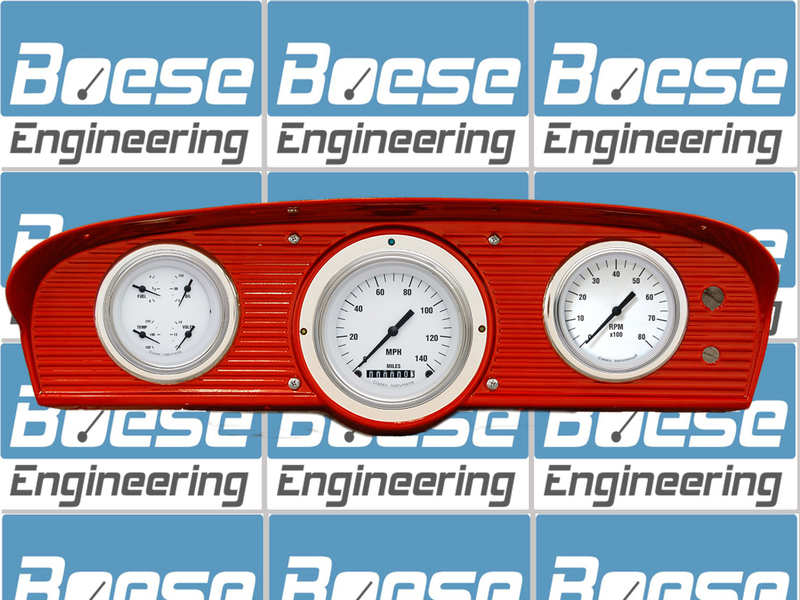 Sending units are included for the oil pressure, water temperature, & fuel gauges.